So I'm in a frenzy trying to finish off all that stuff I picked up, and must admit that I'm loving it so far. These beans for instance were so darn fresh even when I snapped it in half yesterday. Crunchy and so green, not to mention how cheap that whole packet was compared to the mere 250 grams packet I usually pick up at the grocery store. 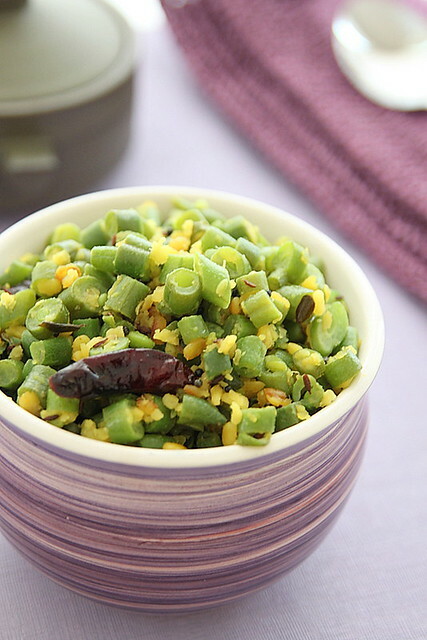 I didn't want to make my usual stir fry and so with a bit of googling I chanced upon this beautiful blog Akshayapaatram and a beans' recipe that looked so damn pretty. Yes, I totally decide how good a dish is based on the pictures. So I went about making it and I think hence forth I shall make my beans only this way. We totally loved it. 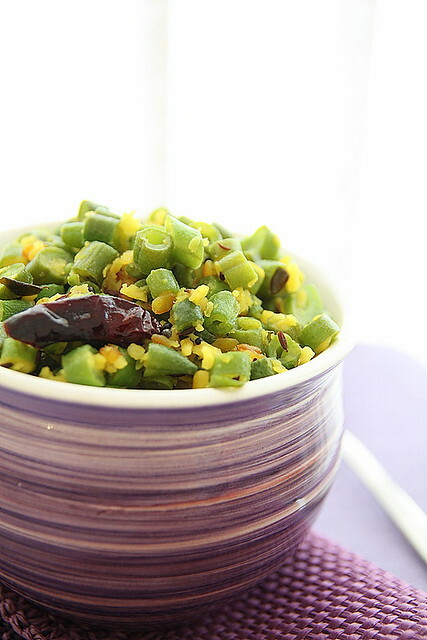 Cook the mung dal in a sauce pan with just enough boiling water. The dal should still be firm and not mashed. Heat oil in a large wok and throw in the mustard and cumin seeds. Wait for it to splutter and add the dried red chillies and curry leaves. Stir for a few seconds. Throw in the chopped beans followed by cooked mung beans, green chillies, turmeric powder and salt. Stir well to combine it together. Cover and cook, stirring in between to prevent the beans from sticking to the pan. If you feel there isn't enough water, then add about a tea spoon of water and continue to cook. Once the beans have been cooked through, do a taste check, add enough salt if required, give a final stir and take it off the heat. Serve hot with some roti or rice. Notes: I over cooked the mung dal a wee bit and so it got a bit mashed in the process. Looks healthy and fresh. Love the green color. and I love it . Great combo! The pics are beautiful as always..Love that cute bowl..
That one comfort side dish. Nice clicks..
Love the clicks! super table setting..
Oh the husband!! Arvind does the same thing with me.. 'are you sure you need so much'... 'why do you need another bowl'..'don't buy because they look nice'.. aarrgg!! First thing, i love that purple bowl you used that went so well with the font color. I like purple and i like matching .. i know old school type I sound. The dish looks light and would be lovely with some chapati. This dal and beans are so bright and beautiful! I was looking at that pretty bowl all the time in all your pictures :) Lovely Lavender! Came here through Tastespotting - beautiful pix and loved the way you matched it to your font colours - or was it vice versa. I love purples, lavenders and mauves. Great pics (as usual) and a very tasty looking dish! love these colours, too! What a wholesome and flavorful dish. I have never cooked with these beans before, but now I want to! Thank you for sharing with me. I'm eating a bagel and enjoying your blog. What a perfect way to start my Sunday! I hope you have a wonderful day. wow dear love the clicks ....and the recipe is all time fav!!!!! Hey Nisha, first time to your classic space. Happy to follow a space with exotic dishes. 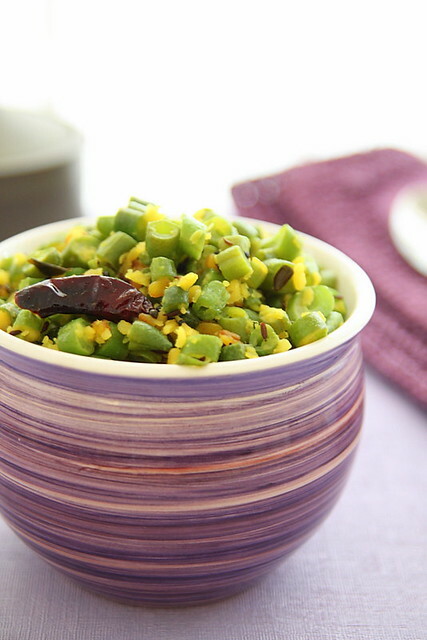 Beans with mung dal is absolutely fantastic. Loved the color of the bowl. That sounds yummy!!! beautiful pics Nisha!! im in love with ur bowl! the dish looks lovely... quite different from what we make... in fact ours is so boring now... and its funny why husband's should worry about the kitchen when their wives are such good cooks :) Mine too hates wasting food and always keeps me on my toes.. Thanks for dropping by my blog, Nisha. 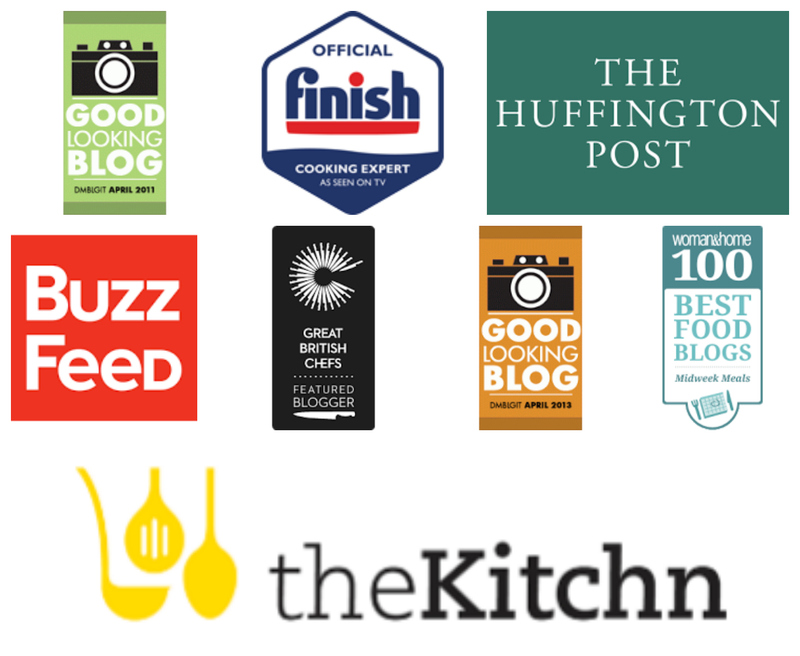 You too have a great blog with so many good clicks! First time here. I stumbled upon your blog from Kulsum's guest post. Loved browsing through your posts. 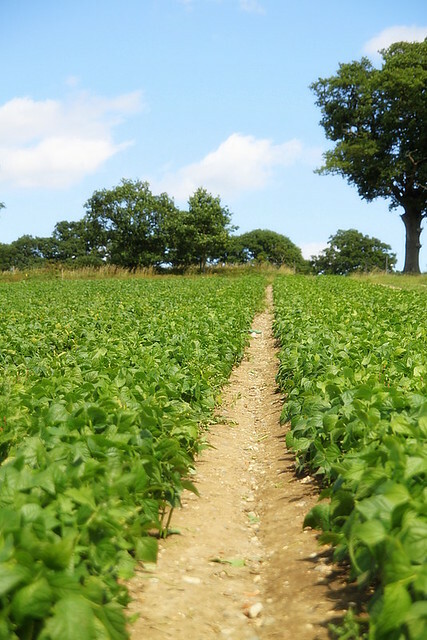 looks amazing...wish i had a PYO farm near me...no such thing living in London!!! Hey girl, what's up? Busy aano? Haven't seen anything from you in a while. Hope all is well. Take care. I always make beans same like this except that I add coconut at the end,love it, loved your clear clicks! This dish looks fantastic, healthy and fresh! :-)) Great pics! Stunning pictures..love the colors and absolutely fresh and eye catching..love it totally. I love the color combination in the pics. Wonderful!